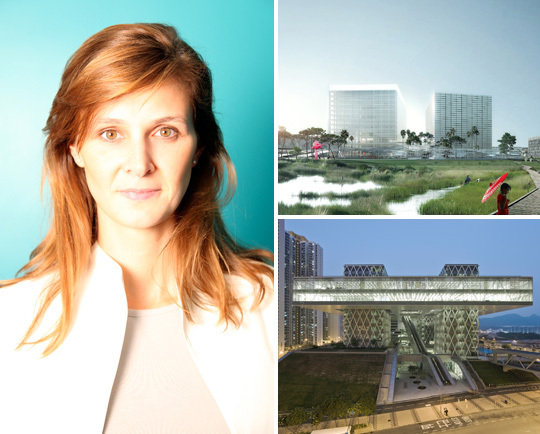 Isabel Van Haute and Thomas Coldefy are the young duo of Coldefy & Associés Architectes Urbanistes (CAAU), leading the diverse international team based in Lille, France. Their dynamism, creativity and international tropism drive them to participate regularly in large international competitions around the world and brought them success, including the Hong Kong Design Institute, which motivated them to create their Hong Kong office. The firm distinguishes itself with an open and innovative spirit; their project method employs extreme consideration to the site, an urban culture concerned with the appropriate density and diversity, as well as a conceptualization process where the various project factors are brought together to the point of overlap.